Texas Republican Rep. Louie Gohmert said Robert Mueller should be fired from his position as head of the special counsel investigating Russian interference in the 2016 election. Gohmert then slightly walked back his comments. He said Mueller should not be fired “in actuality” because of potential impeachment efforts against President Donald Trump. WASHINGTON – Republican Rep. Louie Gohmert said President Donald Trump should fire Robert Mueller, the former FBI director tasked with heading the special counsel investigating attempts by the Russian government to interfere in the 2016 presidential campaign. 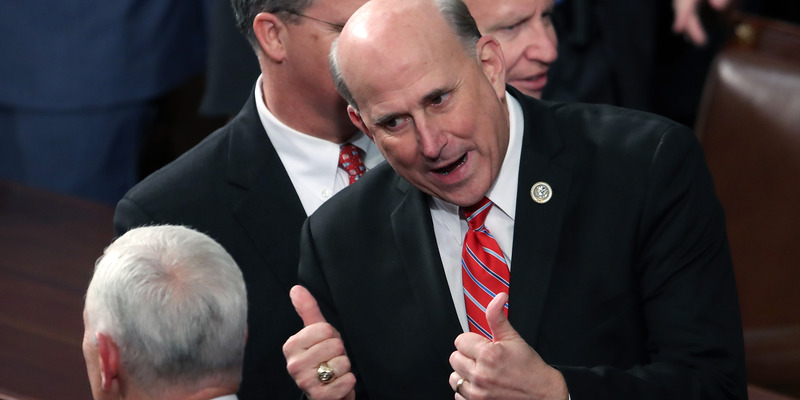 Gohmert, a far-right conservative from Texas, told reporters on Wednesday that he thinks Mueller should be fired, breaking with congressional leaders and those advising the president. Moments later, Gohmert backtracked on whether Mueller should be ousted, citing concerns from others that it would prompt a constitutional crisis that could ultimately lead to an impeachment effort. Gohmert’s comments differed from his Republican colleagues in the meeting with reporters. Ohio Rep. Jim Jordan, who previously chaired the influential House Freedom Caucus, said he agreed with “where the White House is” on the issue.